While working in a casino, I achieved significant success and in a few years I became a casino manager and I trained the staff to work as a dealer. 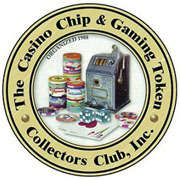 I continued to go to a casino as a player and every time picked one chip as a souvenir. It wasn’t collecting yet. I just kept some memorabilia and chips were the most convenient. I took up journalism after I left casino in 2000. I had my own several sites on the Internet devoted to gambling and casino, published articles in other online and printed media creating publications about gambling business. At the same time, I studied advantage game in casino and started travelling across Russia and later in other countries playing in casino in blackjack and poker if the rules of the games were in favor of the player. This gave me the chance to replenish my collection of chips from various cities and countries. Sometimes I came to a new city and immediately visited all the casinos, taking a chip in each of them. For example, arriving for the first time in Kiev (the capital of Ukraine), I visited 12 casinos during one day. At some point I began to just travel. Without a link to advantage game. Currently, I keep writing about gambling. I am in contact with my friends who work in casino, but I am not actively playing myself. I am very interested in visiting new places, including new casinos. Especially in places that are hard to get. For example, a casino in the Indian State of Sikkim or a casino in the Russian city of Nizhnevartovsk. I keep travelling so far. I created this site as an electronic catalogue of my collection and notes about the most interesting places I visited. P.S. My English is not as good as I would like it. If you find a mistake on the site, please, e-mail me the corrected version.